With more than four decades in the consumer electronics business, Magnavox is one of the most experienced mid-level producers of televisions in the North American market. The company was founded in 1972 as a low-cost consumer electronics alternative to major brands like Sony and Panasonic, and it was soon acquired two years later by Philips. It has, since then, been the lower-cost arm of Philips, which is known for producing some of the highest-quality products on the market. 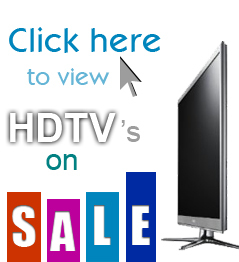 Searching for a specific Magnavox TV review? With the strong backing of Philips and its high-quality electronics products, Magnavox has been able to offer similarly high-quality consumer electronics devices at lower prices and meet with the needs of a growing, budget-conscious buying public. The company has a reputation for quality and good service, which are two hallmarks of the overall Philips brand itself. After four decades of serving the American market, as well as several decades of experience in overseas market, many of the company’s earliest offerings are still in use. Magnavox products are backed by Philips, a company which has had a much longer history of providing consumers with long-lasting electronics. In fact, for a period of time in the 20th century, Magnavox was occasionally branded as “Philips Magnavox” in order to both broaden knowledge the Philips brand, as well as communicate the high quality of a Magnavox television or other device. To that end, Magnavox products stand as some of the longest-lasting consumer electronics products on the market. In fact, sone consumers still use the company’s original line of televisions in some rooms of their home; the marketing might be adjusting to high definition, but Magnavox owners are content to use their high quality, decades-old products until their end of life. That’s refreshing, especially for a budget supplier of televisions and other consumer electronics. All too often, companies in the price range that Magnavox primarily serves are forced to sacrifice quality for price, longevity for discounts. Magnavox products, unlike those produced by its parent company, are sold to budget-minded consumers who are in the market for a cost-effective high definition television set. The company typically offers similar technology as Philips televisions, if not identical technology, but sells its offerings for hundreds of dollars less than comparable Philips televisions. That makes it a primary competitor in the budget market. Its televisions are not short-lived devices, despite its more bargain-oriented pricing model. Magnavox televisions have extremely favorable reviews that stretch back several years and even several decades. The key thing to remember is that Philips itself produces a line of long-lasting products, and its Magnavox brand simply makes these products accessible to consumers with thinner wallets. That makes them a great value for all types of consumers. 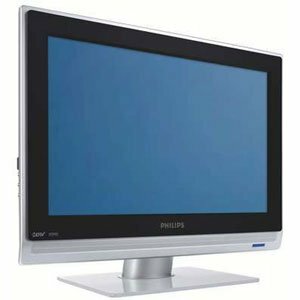 The ability to purchase a Philips television without paying the Philips price should appeal to anyone who appreciates a good deal. Their longevity makes them a one-time purchase that lasts for decades. That is the very definition of a good value. Magnavox has a robust customer service department that caters to each of its products individually. Television users are offered a 24-hour, toll-free hotline. This phone number connects them to representatives who can help them troubleshoot common issues, complete the setup of their television set, and arrange for warranty repairs and unit returns. The company also operates a worldwide network of repair and service centers for units sold before 2008, making it one of the few brands that has authorized technicians and repairmen for its products. This may be the key to the company’s offerings lasting so long. Consumers who prefer to use the internet to resolve their technical glitches will be satisfied with the company’s online support. Technical manuals, commonly asked questions, and setup guides are all offered in an electronic format which can be downloaded, printed, and used for free. It’s an excellent resource, especially for those consumers who typically lose their product manuals just a few short weeks after purchase. Magnavox is a solid consumer electronics company with the backing of one of the world’s premier electronics brands. Its commitment to customer service is unmatched by many brands who compete in the budget-friendly electronics market, and its longevity is unheard of among budget brands. Magnavox owners are among the most satisfied electronics owners anywhere, and that’s likely because they understand that they got a great deal on industry-leading technology, they own a high-quality set with great picture quality, and their high definition television will last them far into the future while competing generic brands would have left them without a high definition picture at all.